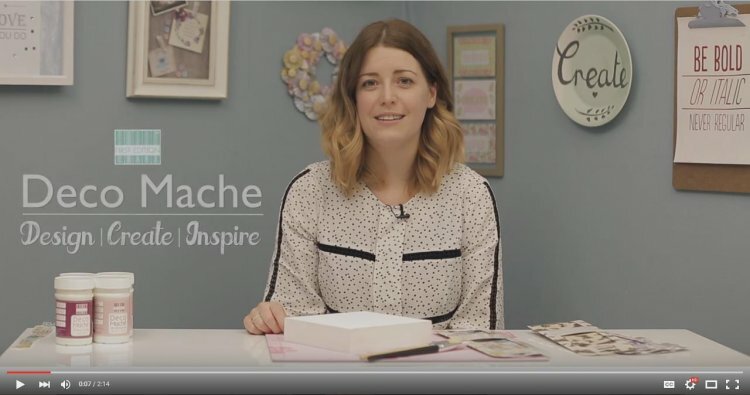 Decoupage projects have become really popular in the crafting world and after you see how simple they’re to make, you’ll want to use the First Edition Deco Mache papers on everything! Our step by step tutorial shows you how to upcycle any object that takes your fancy. The detailed designs on these papers are lovely to use to refresh any bits and bobs around your home. The Deco Mache crackle effect glue is a great finishing touch, it adds the vintage look you want with ease, it’s such a clever product. If upcycling and Decoupage projects are up your street, have a look at our stunning selection of First Edition Deco Mache papers and products to start your very own collection. Add your Deco Mache projects to the gallery for our crafty members to see and hashtag #Trimcraft & #DecoMache on social media.